The United States, first and foremost, is a “Government of the people, by the people, for the people.” Our democracy was founded on a simple principle – that each citizen’s vote matters. Free and fair elections and the belief that every citizen has the right to choose his or her representative have long been the bedrock of our democratic process. When citizens are given a reason to question these principles, or the sanctity of our elections is threatened, the health of our democracy suffers. We cannot stand by and allow that to happen. I’ve represented my constituents in Congress for 10 years and have had the privilege of being selected to serve on the House Intelligence Committee by both Speakers Ryan and Boehner. I’ve sat with my colleagues in the SCIF – a secure room many stories beneath the Capitol – and received sensitive briefings on our clandestine operations around the globe. My work on the House Intelligence Committee and our investigation into Russian meddling in the 2016 election has made one thing undoubtedly clear – Russia attempted to breach our election systems to sow discord, cause chaos, and undermine our democracy. The threats facing our nation are real and I have no doubt that Russia, and others, will continue working to interfere in our elections. If I can leave Congress with one warning for the future – it’s that this is not the end. These attacks will continue. If it’s not Russia, it will be someone else. We must be prepared. The Constitution empowers our state and local election offices to carry out our elections, and it is imperative that the federal government provide them with the resources they need to harden and protect our election systems from cyberthreats. That is why I, along with my colleagues Reps. Trey Gowdy (R-S.C.), Jim Himes (D-Conn.), and Terri Sewell (D-Ala.), introduced the Secure Elections Act, which will provide local communities and state governments with these resources. The funding provided by this bill will allow our communities to proactively close vulnerabilities and prepare for the future rather than sit around and wait for the next attack. 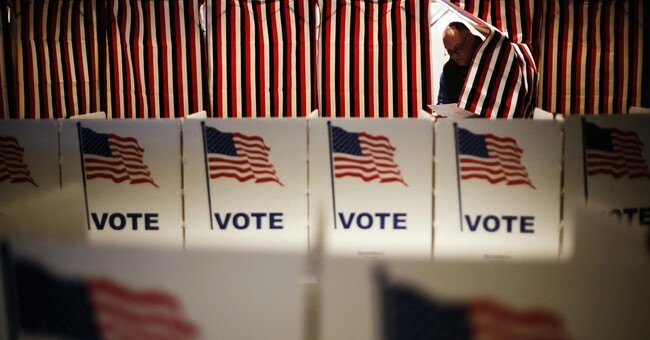 The Secure Elections Act, also introduced in the Senate by James Lankford (R-OK) and Amy Klobuchar (D-MN), would allow states and local jurisdictions to voluntarily apply for grants to replace outdated voting machines and modernize their election systems. The bill also streamlines the process that the federal government uses to share relevant cybersecurity threat information with state and local governments and directs the Department of Homeland Security to ensure that state election officials are appropriately cleared to receive important classified information. Safeguarding our elections must be a priority for Congress because it affects each and every elected official who is chosen by their constituents to serve. We have a responsibility to ensure that there is never a doubt in any American’s mind that the election they voted in was free and fair. We owe this to our children, future generations of Americans, and all those who have fought or given their lives to protect our nation and our values.